With Automate Sign-On Package, the client will have 100 manual test cases automated within a month, free Demo, free Online Training and Support, free CI Integration with only 2500$. Effective testing of software systems is often a casualty as firms rush to go live in the shortest possible time frame or look to conserve budgets. Automation testing helps to reduce manual testing and accelerates regression test. However, investing money in automation testing is always a critical decision. 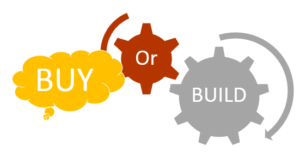 It is “build” or “buy” decision, even “build” or “buy” a test framework/ tool is very hard to assess its efficiency at the beginning. In fact, lots of effort from the organization experts were required to evaluate and analyze all aspects of the tools such as cost, pros vs. cons, support from the community/ provider, risk evaluation. To breakdown iceberg of automation testing, MeU Solutions has just launched a new service called “Automate Sign-On Package”. According to MeU Solutions CEO, with this service, their clients just need to pay USD 2,500 to initiate, establish their automation at their sides, as well as have 100 manual test cases automated within a month. Samples of test cases, test reports will be provided that can be used as a benchmark. Besides that a range of other services which associates with this service such as Online Support and Training, CI Integration is also offered free by MeU Solutions. Especially, their clients can request the access to MeU Solutions Demo Center where they can use tools & framework developed by MeU Solutions before making the decision “Go-or-Not Go”. The company expects their new service will open a new gate for ITO(s) to approach the software automation easily, even limited in the budget. The details of this service can be found here.